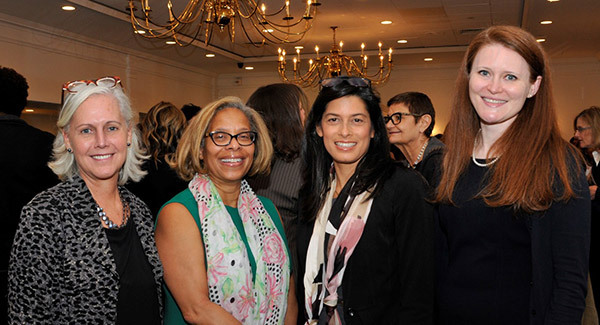 On October 22, 2018, in front of 180 guests at the Princeton Club, Women in Development brought together three powerful college presidents to discuss leadership, management, fundraising, and careers. John Jay’s President Karol V. Mason, was joined on stage with Rev. 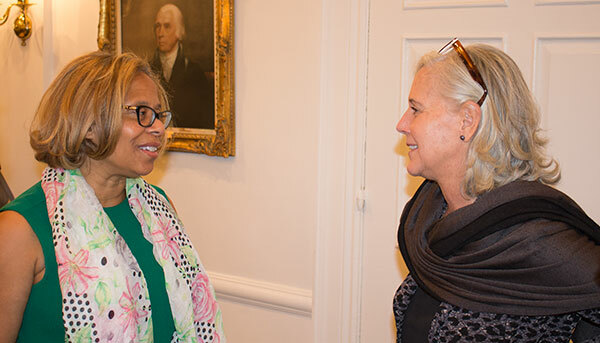 Dr. Serene Jones, President of Union Theological Seminary in the City of New York; and Laura Sparks, President of The Cooper Union for the Advancement of Science and Art. Their stories and advice encouraged everyone in the room. Here are some of our favorite parts of their enlightening conversation. KM: My first job at the Department of Justice was a deputy for someone. I was offered an opportunity for a Senate-confirmed job, but I said no because I knew what I didn't know. I knew nothing about government. Don't be afraid to take a step back. I was a deputy for someone who was 10 years younger than me, and that was okay, my ego was intact. I was there to learn. As a result of that, four years later, I did become a Senate-confirmed person for the Office of Justice programs. At the DOJ, I did a lot of work with John Jay, and that's how I became familiar with the College. When President Jeremy Travis decided he was stepping down, I realized taking this position was the perfect circle of my life. SJ: My father had been the president of a small liberal arts college where I grew up. This actually had the opposite effect on me. It made me swear that I would never go down that career path because I saw the impact it had on our family. So when the search person called and asked me if I would be interested in my current position, I said no. Then she asked me to describe what the next president of Union needed to do. As I began to describe what revitalizing spiritual education meant, I ended up describing myself into the position. LS: A recruiter called me and said that they had an interesting proposition, and told me about Cooper Union. I questioned why I would go to this school, and like any good recruiter does, they told me not to say no right away. When I learned more about the institution, I completely fell in love with the founding vision. There was a vision that quality education should be accessible to everybody, and I have seen through my prior work how important access to education is. LS: In your job you can be uncertain about a particular decision, but you can still have confidence. That confidence comes from experience. It comes from learning about people and having made some mistakes. Every day I try very hard to take in as much information as I can. KM: The night before I started this job, I called up my best friend Valerie Jarrett and I said I was scared. She told me it would be okay. That's what you need, somebody to bump you back up and say that it will be okay. It's okay to be scared and admit your vulnerability in the right place and the right time. To me it's like jumping into a cold pool of water. I was terrified, now I'm fine with it. You just jump into the pool of water and develop the skills overtime. SJ: There's not a single day that I'm not uncertain and I'm not shaken by something that I don't have an answer for. I used to think that CEO types had to know all the answers. I actually had to go home and process what it meant for me to be asked a question, and then say, “I don't know.” I realized that when I say, “I don't know,” many times no one else in the room actually knows either. But that’s an invitation to a conversation. KM: Make choices that maximize your options. It’s your choice which way you want to go in your career, and it’s your job not to pass up opportunities that could open your career down another path. Don’t worry about other people’s preconceived notions about you. As a black woman, I have spent my life exceeding other people’s expectations. I find it to my advantage, because they don’t know what’s coming. SJ: Before I started my job, I was sent to Harvard’s President School for a week. They teach you to take off one day of the week, one weekend of the month, and one month a year. It’s a simple thing, but it makes a huge difference. LS: Understand that lots of different perspectives are important and valid. It can be uncomfortable to have somebody push back on your ideas, but learning to live in that discomfort is really important. Also, gratitude is important. I have a tremendous team, and nothing happens without them. Recognizing this and being grateful for it is really important.